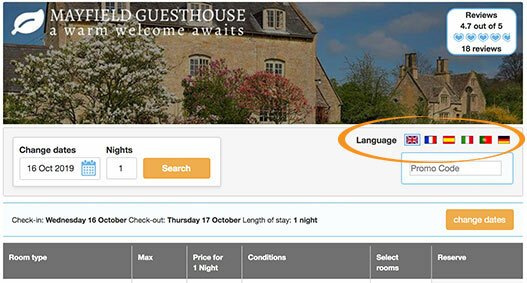 Get more bookings when your customers book in their own language. Setting your language options is quick and easy. Choose your main language and offer a choice of languages. 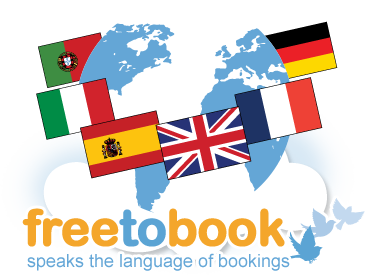 Your freetobook booking page is then multilingual. No Charge... It's Free! 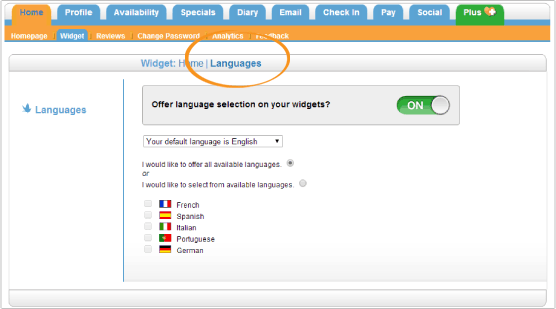 Your customers choose from a range of languages. Simply go to the language settings in the widget tab. You choose which languages to offer.